Place all ingredients into a sauce pan and mix well. Butter a 13×9 inch dish with 1 tablespoon of softened butter. Mix eggs, can milk, sugar, cinnamon and vanilla in a separate bowl, beat well. mix peaches 1/4 cup brown sugar,stick butter melted,teaspoon cinnamon,1 cup sugar over cobbler. 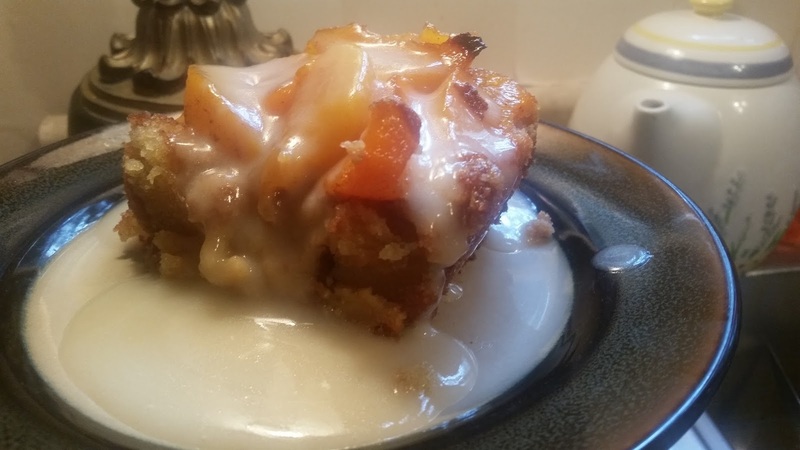 Allow bread pudding to cool 15 minutes, drizzle with glaze.